Working remotely seems like it could make your wildest dreams come true but sometimes it doesn't. The popularity of working remotely is undeniable. One study says an astounding 70% of full-time employees work away from the office at least once per week. A growing number of people swear by the idea of doing their work away from the confines of a traditional office and couldn’t imagine going back. 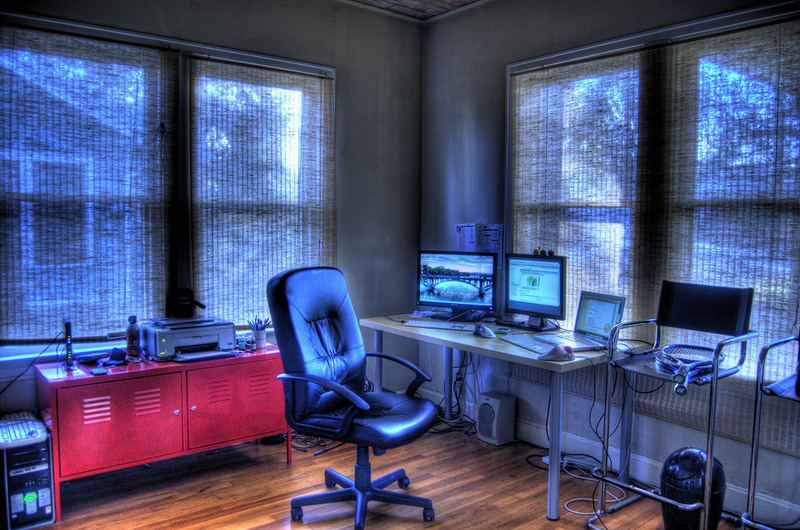 It’s pretty obvious that the old world of work is going away and telecommuting is a trend that is likely here to stay. As with most things, there are pros and cons, and this type of arrangement won’t suit everyone, but for those that it does, they’re liable to be a happier, more productive human being. When you take the time to peel back the layers of this work style, you see that there are profound benefits that accompany the practice. When a business allows remote workers, it opens itself up a larger pool of potential employees. Talent is no longer confined to a single geographical area. Consider a small business located in a major city, forced to compete for talent against well-paying corporations. However, if a business isn’t afraid to offer a job opportunity to a talented individual who lives maybe thousands of miles away, presto, problem solved. Cities can be cool but not everyone wants to live there. Overwhelming noise and congestion may be the definition of a nightmare to an otherwise talented worker. The rise of remote work allows such a person to engage in a satisfying job perhaps not typically available in rural areas, while maintaining happiness, sanity, and a lifestyle they love. The cold, hard truth is that the modern office environment is often not conducive to concentration and focus. Dozens, maybe hundreds of people jammed into small offices or, worse, minuscule cubicles – if you haven’t seen the movie Office Space, do so now. We’ll wait. The bottom line is that people in close proximity can’t help doing what humans do and that often involves talking, interrupting, and distracting one another. Meanwhile, our remote worker sits in their home office in an environment that suits their work style, blissfully unaware of a single incident of co-worker drama. Additionally, the concept of remote work offers a company flexibility due to the simple fact that they have employees working in a variety of time zones. It’s easier to offer services 24/7 because they know that there will always be someone available cover any shift. There are businesses that specialize in an annoying style of oversight called micromanaging. They can’t function if they aren’t able to to closely monitor the movements and decisions made by those under them. Obviously, remote work and these types of bosses would not do well together. On the flip side, some employees simply won’t work unless they’re constantly monitored. Sad but true. In case you were wondering, these people are not good candidates for non-traditional work. In fact, they’re the reason micromanagers exist. The Criticality of Technology: Since remote workers rely on the internet for communication with managers and the rest of the team. they must have access to the essential tools such as a good computer, solid connection, and – considering all the little malware nasties living and breeding in cyberspace – a reliable virtual private network (VPN). The latter is a nifty service that works in conjunction with your web host to encrypt the data flow between your device and the the internet, making it harder for hackers to interfere. Unreliable technology makes you a security risk. The good news is that it’s becoming more commonplace for employers to foot the bill either wholly or partially to get keep your remote office up and keep it running. Maybe you are an employer thinking about introducing remote work opportunities to your staff. Or maybe you are an employee considering whether or not to take a non-traditional opportunity. The following are some desirable characteristics. Problem solvers: This kind of work needs people who don’t need a lot of support. When there is a problem, they take the initiative, make use of the available resources, and figure out how to get the job done. Time managers: Remote work requires you to set tasks, time goals, and prioritize what needs to get done and when. When there’s a pile of work, you must have the ability to manage it through to completion. Buying what the company sells: By this we mean a person should be passionate about the company and have a similar vision. If not, there won’t be enough motivation to see it through for the long term. Remote work is not for everyone but sometimes it works really, REALLY well and opens opportunities that never seemed possible. Don’t be surprised if you form a tight bond with team members you’ve never met face-to-face. There is an opportunity for true fulfillment because you’ll likely feel your life is more self-determined, and what’s not to like about that?